My Life with Menstrual Cups: The Keeper! MY Keeper! 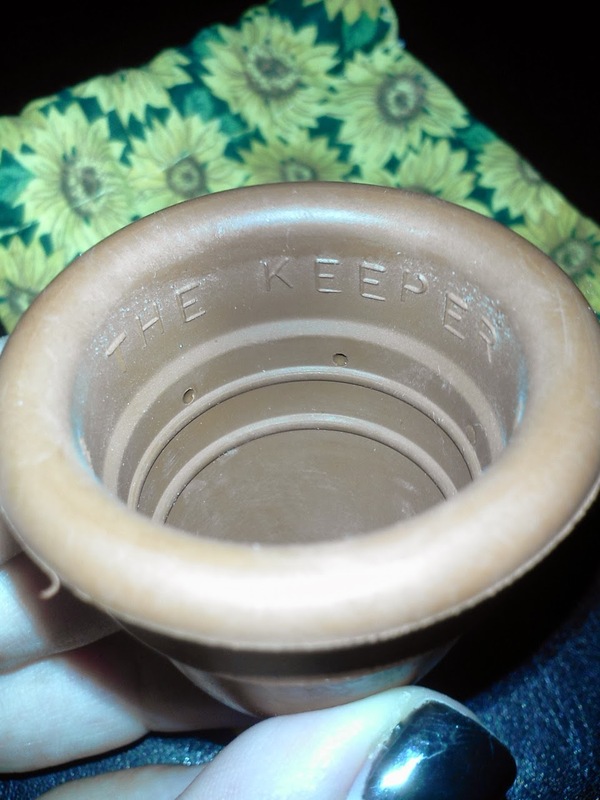 I cannot begin to tell you how excited I was to open the mailbox and see that my Keeper Cup had arrived! I want to genuinely THANK The Keeper company for sending me their cups to sample. I have to say that I haven't spoken to a more passionate, knowledgeable, FRIENDLY, company. I will always be a fan of this company for those reasons. 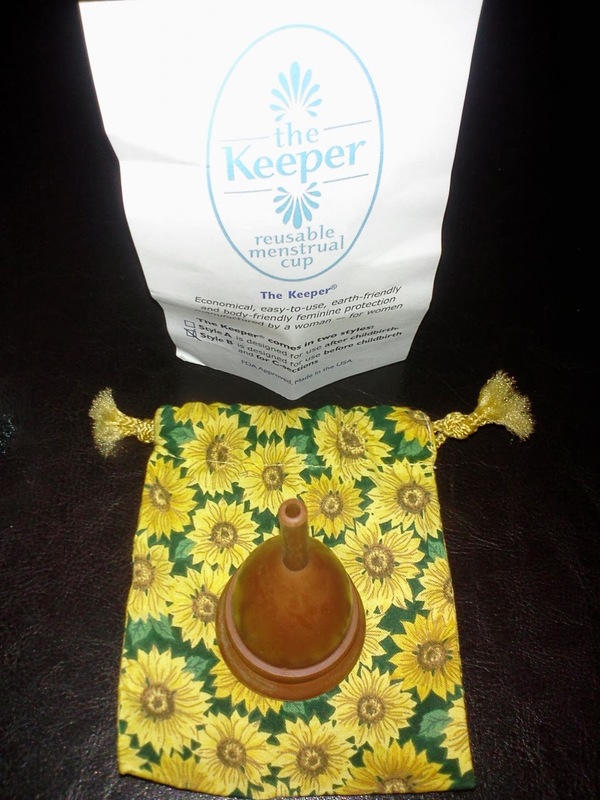 The Keeper company is one of the (if not THE) pioneer menstrual cup companies. Further, Keeper is an American company. The company's headquarters are in Ohio. Keeper is manufactured in America as well. This is one of the many things I appreciate about the Keeper brand. I am in LOVE with their slogan, "Designed by a woman, Manufactured by a woman, Marketed by a women, For women." How empowering! When I emailed the company asking if I might be able to get a sample of their product to write about and review, I got a response right away. It was from Elizabeth at Keeper and she said that it was their practice to speak with people interested in reviewing their product. I called her right away and was so glad I did. I spoke with her for close to an hour and in that time, I learned a lot and gained a lot, as well. I learned that the material they use to make their cups is called gum rubber (latex) and it is harvested similarly to maple syrup... from a tree! Click here to see a photo of that process. Source: Wikipedia. 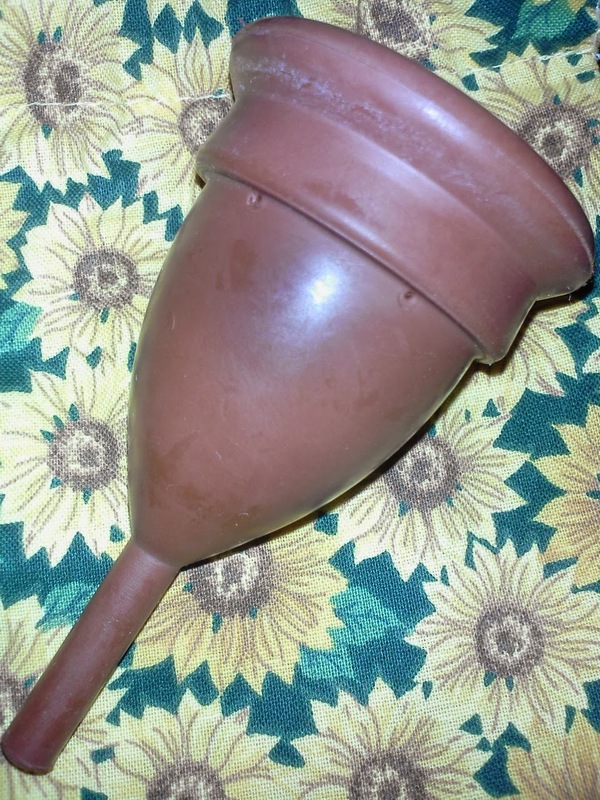 I learned the history of the Keeper Cup company, I learned of their ethics (and completely agree with them), and I learned about the health benefits to using a menstrual cup. I finished that conversation wishing I could be friends with Elizabeth, no joke! She was passionate. She wasn't speaking from a script, she was knowledgeable and I appreciated that. I have to admit, any time I have seen photos or videos of The Keeper Cup I have always thought it was stiff and plastic-feeling. I was happily surprised at how soft the texture of the gum rubber was! I love, love, love the feel of the cup! This cup, unlike others, has six suction release holes. At first, I was a little intimidated by the long, hollow stem, but it is so soft! Not soft in a flimsy way... you'd have to feel it. The Keeper has raised lines inside, which I learned is part of the design to help the cup be more stable. They are there so the cup will not collapse under the strong vaginal wall muscles. The holes are quite far down from the top but that is fine by me. As well as the raised lines, the words "THE KEEPER" and "MADE IN USA" are also slightly raised on the inside. The outside of the cup are completely smooth, including the stem. The rim of the Keeper is quite pronounced. Overall, I like the shape of the cup. Originally, I thought the color of the cup would bother me. I have never been a fan of the color brown. I am more into vibrant colors. But what I realized is, when you have a fantastic product, the color is irrelevant. I love the brown. It feels earthy. It also came with instructions. The instructions are very simple, yet descriptive which is pleasing to me. I think some company's instruction packets can be overwhelming. The Keeper company includes really good images in the instruction packet. I read them from start to finish. One part I found interesting is that they don't actually recommend boiling your cup. They give you great tips that will keep your cup clean without compromising the integrity of the material. You can tell that they want you to get the most out of the product. The paperwork says that The Keeper will last at least 10 years! I am so happy this arrived when my cycle was in full swing because I immediately sterilized it and tried it out! The Keeper Cup went in easier than any other cup I've used. It was a breeze. I used the "7 Fold" which I have never successfully used. I was shocked at how easily it popped open and created a seal. Once inserted, I literally could not feel the cup. I can definitely feel the difference from the silicone cups and the latex cup. The latex cup is so comfortable. Since this is made from a natural material, I feel better wearing it, just knowing that. I would give this cup 9 out of 10 stars!! Yes, I love this cup. I would recommend this cup to ANYONE. I even believe this would make a perfect first cup because of it's ease of insertion. Go to www.keeper.com to learn more about, and order this cup. Also, please share my blog with your friends or Pin it on Pinterest. It's a new blog so I want to get more readers. THANK YOU! I am not sponsored by any of the cup companies I review. I simply use their product and give my opinions.